In July 2011 Tim sailed from Honolulu to Vancouver through the North Pacific Gyre to research plastic pollution in the Pacific Garbage Patch and is keen to share his experiences with locals in a short Q & A session after the film. 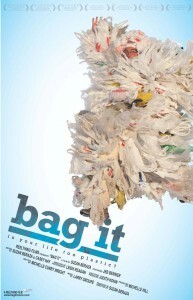 Bag It follows an ordinary man, Jeb Berrier, as he tries to make sense of our dependence on plastic bags. We can’t live without it so we need to learn how to live with it! 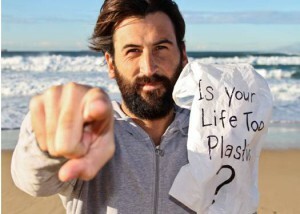 The film explores how our daily reliance on plastic threatens not only waterways and marine life, but human health, too. Bag It aims to raise awareness of plastic pollution in our oceans and the simple things we can do in our lives to reduce our plastic footprint.